I WILL NEED TO KNOW IF YOU PLAN TO PARTICIPATE BY SUNDAY NIGHT!!!! JUST INSTALL THE MOD, AND LET ME KNOW WHAT CAR YOU WOULD BE DRIVING. THERE EVENTS WILL BE ON SATURDAY!! I AM SURE THERE WILL BE 50+ CARS IN THIS LEAGUE, FSR IS WELL KNOWN IN THE SIM COMMUNITY...IM TRYING TO BRING DKS UP TO THOSE STANDARDS, BUT IT WILL TAKE AWHILE. HERES THE POST MADE BE RACER/USRG, ALL TIMES EASTERN US TIMEZONE, JUST LIKE OUR F1 EVENTS. REAL NAMES FOR THIS CHAMPIONSHIP ONLY...MIGHT AS WELL GET USE TO IT, BECAUSE WE ARE NOT USING ALIASES AFTER OUR FSONE 2008 SEASON IS COMPLETE. HOPE THAT ISNT A PROBLEM FOR ANYONE. * The day, week and location of each event will be announced on the forums at the USRG forums. * The vehicles to be used for this league are from the Enduracers' Endurance. # Race 2:00 - To whenever we get done. * Qualifying will be thirty (30) minutes long and will be open to both classes. * If you are in a P1 and one of the following happens you will not be moved to the back of the P1 grid, you will start where you start. The things that can be taken as infractions are not limited to what is found below. If an action is brought to our attention that is not on this list it will be sent to the committee to be investigated and ruled upon. * Give and take. Remember the only thing you win is bragging rights. So it won’t kill you to let someone back into line or let them gather it back up when they slip up. * Baring serious and catastrophic server issues there will not be any restarts. These races are long and damage repair should be enough to patch a car together and salvage something. * Do not cut the course. A course cut is defined as an intentional leave of the driving surface in an attempt to gain a distinct advantage. * Do not short the course. A course short is intentionally not making all the portions of the chicane in an attempt to gain time. To not short the course you must have at least two (2) wheels on the driving surface at any point in time. o The driving surface is the paved surface of the race track. * If your car is damaged (i.e. bent suspension, missing wings) drive it at a reasonable pace, off the racing line, to pit road for repairs. * Events of revenge will not be tolerated. This puts all on the race track at risk of your actions and will be dealt with swiftly. * White/yellow line at pit in and exit are to be obeyed unless stated otherwise during the event. This includes driving on or over it while taking a racing line such is commonly the case at Essington. * Re-join the track/racing line after it clears. * Driver changes can take place only during pit stops. * If you see or have a problem with any of the rules covered above please let the administrator know as soon as the event is over. We do not have a moderator to watch over everything so if you don’t report it then chances are we will not see it. * Any disputes on the actions that happen on the race track will be sent to the Committee. * The committee to review disputes on the race track will be comprised of three people pulled from a pool of people familiar with (sim)racing but not participating in the league. o The three people will be pulled, at random, for each incident, from a larger pool comprised of as many people as we can get. + If there is a team involved in more than one incident then the same committee will work on all the cases involved with that team. o Competitors will be informed of who is in the committee pool at the beginning of the season but not who has been assigned specifically to each incident only a number that corresponds to a person. o Each committee will then discuss their incident and pass judgment as to if there is an infraction and what kind of punishment is warranted if there is. * Judgment will then be handed down from the committee and it will be processed by the appropriate groups in charge of the functions that need to be changed. * Estimated time for this whole process: One Week. 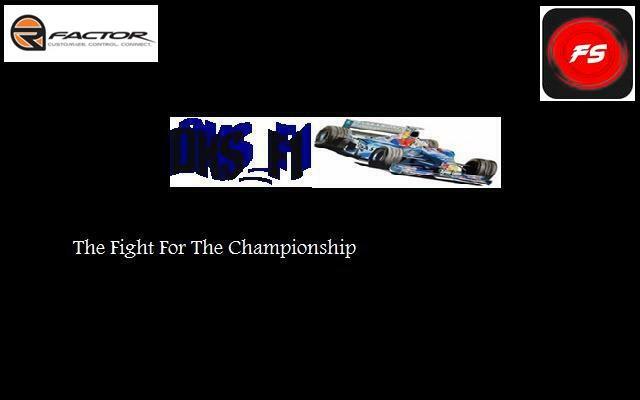 * The championship will be given to the car in each class with the most points. * You do not need to have a co-driver for these races but it is recommended due to length of the events. *Explanation of manual rolling start: In this the server will be set to a standing start. However, when the lights go out the pole driver will lead the field around the circuit at around pit road speed. Then sometime between when the leader gets to the start finish line and the time the whole field has made it onto the main straight a member of the admin team will call out either “Green Flag,” or “Green Green Green,” in general chat. At this point the race is officially under way and racing may begin. I WILL SEND THIS DRIVER LIST TO THE RACER/USRG ADMINS TO ADMIT US INTO RD 2 OF THEIR CHAMPIONSHIP AT WATKINS GLEN ON SEPTEMBER 19, 2009. WE CANT MAKE RD 1 THIS WEEKEND, BECUZ OF OUR F1 SEASON OBLIGATIONS...SPENCER, THE ADMIN OF RACER/USRG TOLD ME THAT WE CAN COME UP WITH OUR OWN NUMBERS, SO I WILL START OUR DKS NUMBERS AT 001, IT WILL GO UP EACH CAR WE ENTER....LETS SHOW THE WORLD HOW WE RACE!!!! 1. 001---BRANDON GANT---ZYTEK MOTORSPORT (LMP1) "2006 SEASON"
2. 002---MICHAEL FITZ-----INTERSPORT MP (LMP1) "2007 SEASON"
3. 003---RYAN THORNTON-----CORVETTE RACING (GT1) "2006 SEASON"
4. 004---SAMI PESARI---------BMS SCUDERIA ITALIA (GT1) "2006 SEASON"
BRANDON GANT-----ZYTEK MOTORSPORT (LMP-1) "2006 SEASON"
not sure what rich will want to drive at the moment. you have the mod? i am not home at the moment....maybe holysword can setup server #2 with a track you all have. nope, if you could send me a link to mod and track i would be greatfull, btw if i am right first race is this sunday? i'm not sure will i make it if it is. under mods, choose one of the endurance series links, which ever is faster for you. i will try the mod after Italy race, and see which cars to drive. Yeah, I'm in. Going to check out the GT2 class and the LMP1 class like we talked about. I'll let you know. how many laps or time in this champ? how have a co pilot? david, i heard, i really not use to driver swaps myself...one thing ive never done in rfactor..
how choice a car and team ? if im understand well the race its on saturday night for here in europ? which year or series do I choose from? are all the cars the same? REMEMBER GUYS TO MAKE PROFILE WITH YOUR REAL NAMES, BECAUSE THATS WHAT I HAVE YOU REGISTERED WITH ON RACER/USRG SITE.